unglaubliche caitlin: i can still cook! i can still cook!, a photo by unglaubliche caitlin on Flickr. sometimes i worry because lisa always does. 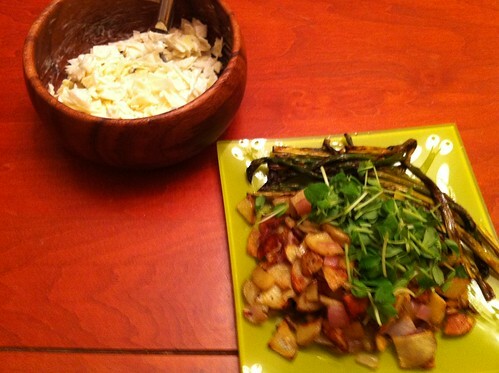 but here are her reheated asparagus, my roasted potatoes and onions with pea shoots, and coleslaw.